While our fair share of interviews have happened at bars, very few have involved us being on one side of the bar with our subject on the other. 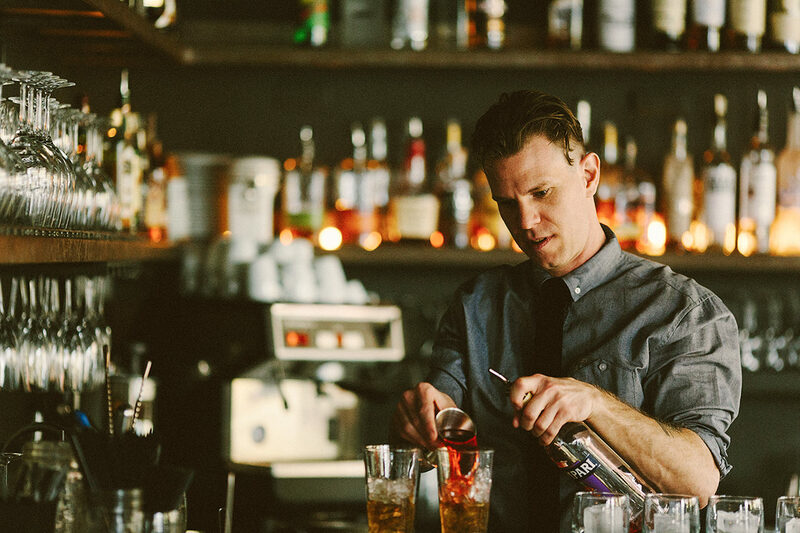 Today is our lucky day, spent with Ryan Victor, head bartender of the energetic and award-winning Portland restaurant Clark Lewis. 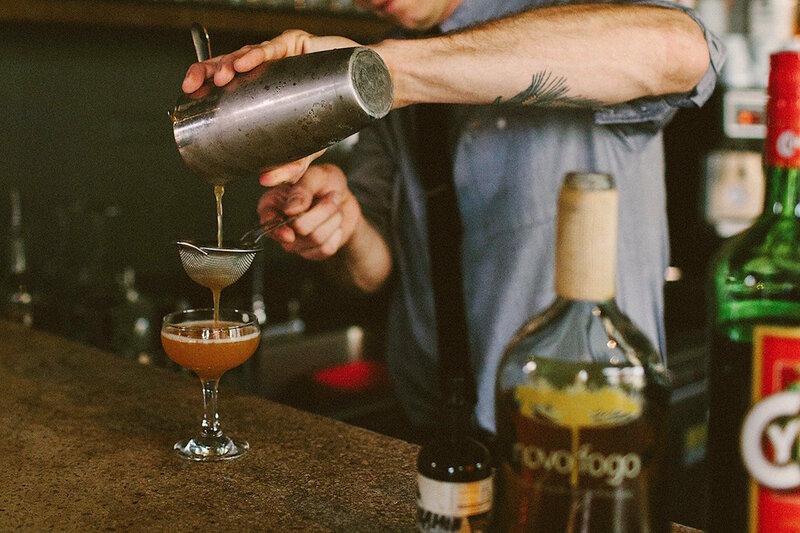 From Albany, Georgia to Cabbagetown, Atlanta, and now Portland, Oregon, Ryan has been “making drinks” for over twenty years. And he’s absorbed a lot in two decades, each gig offering unique challenges and opportunities. He certainly does now. 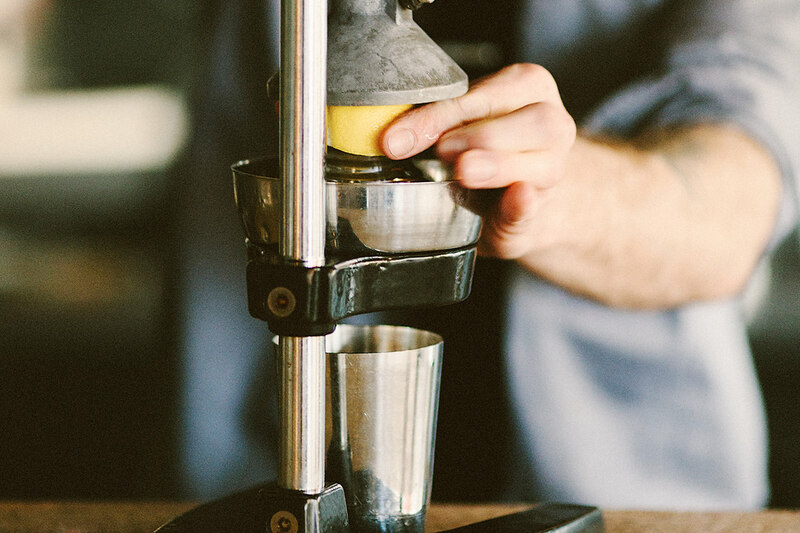 Every pour, turn, and shake is done with exacting poise. “Honestly, I’ve worked extensively on making sure my movements are fluid. It’s primarily for competitions, but it’s also just a good habit to form.” Ryan even admits even to practicing his shake face. “You can’t be wincing while you’re shaking,” he says, laughing. 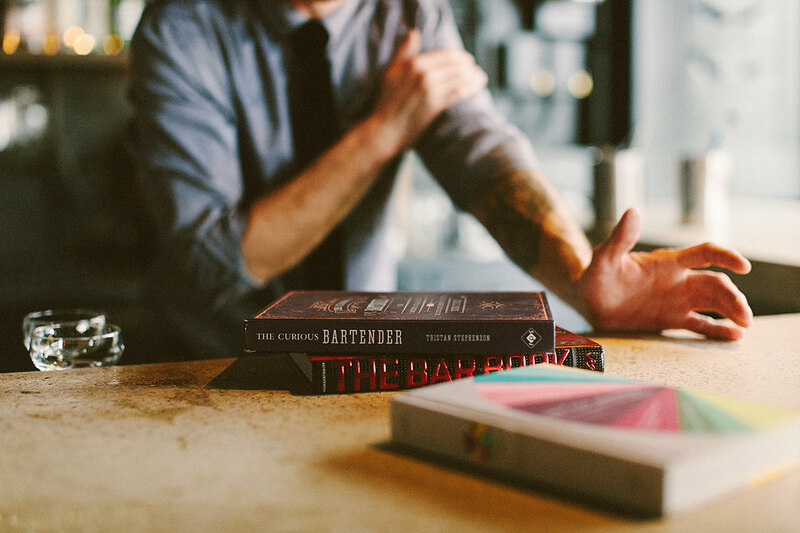 Shortly after, a few of his favorite bartending books are pulled out for us, including a flavor thesaurus. This is not light reading – there are four pages on what goes with capers. He turns through the book slowly, pointing out some of his favorite pairings. And again, this comes with little surprise. Throughout our afternoon together, Ryan talks with us like an old friend, sharing stories of drunken patrons, waxing poetic about the flavor profile of Mezcal, and prodding us about our taste preferences. To better understand the process behind each drink, we get a taste of every ingredient, including Cynar, a liqueur made predominantly from artichoke. “The bitterness allows for the sugars of other elements to come through on your palate in a unique way,” he says. 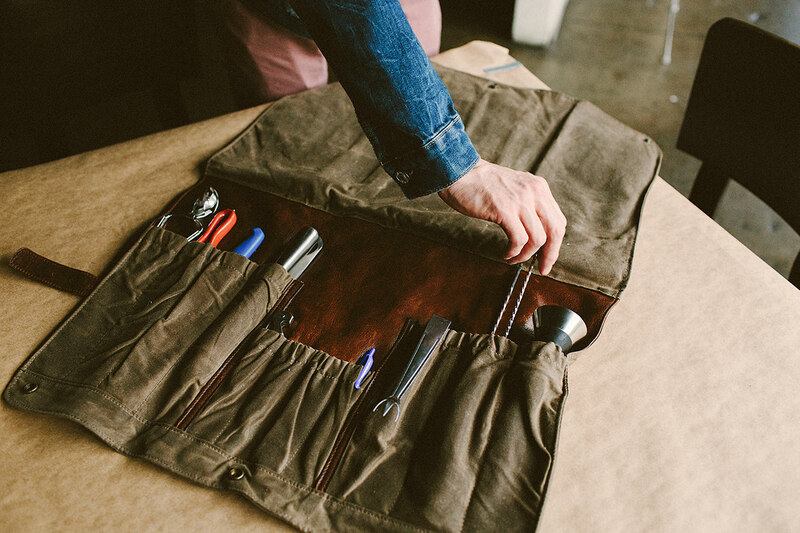 If he hadn’t already told us to call it bartending, one would be tempted to consider his craft some form of alchemy. 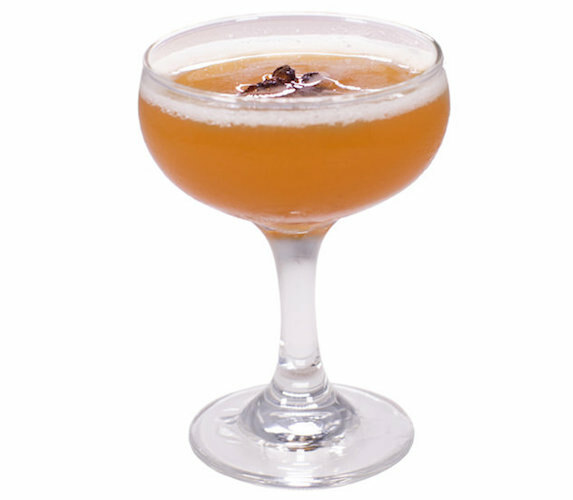 An earthy, bitter sweet eye-opener with just enough spice to shake off the night and just enough weight to give gravitas to your day. Shake with ice, then double strain* into a chilled coupe. Garnish with anise. A dirty, daydrinkin’ cocktail with agave, lemon, and a hefty flavor of smoke. 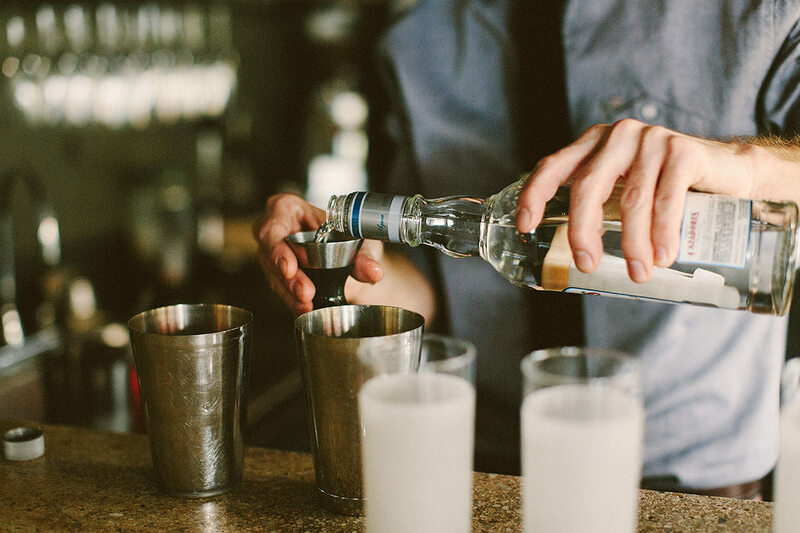 Shake with ice, then double strain* into a collins glass. Finish with a splash of soda and garnish with a bordeaux cherry. 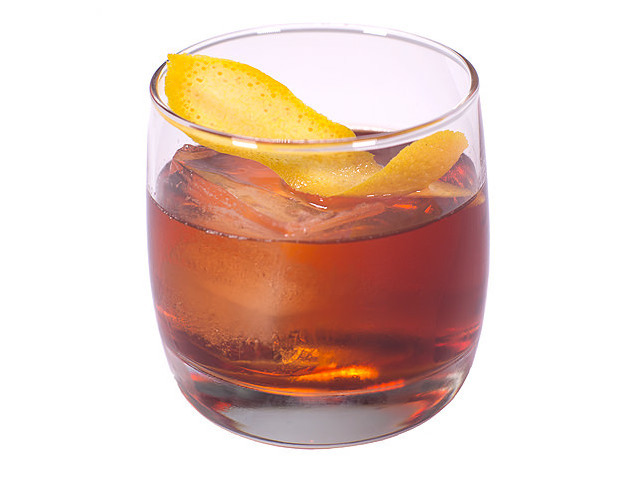 An older cousin to the Negroni, the Boulevardier is the perfect night cap, with rich, bitter tones, complex sugar, and cinnamon notes from Rittenhouse Rye. The perfect amount of dryness and depth to end an evening of interest. 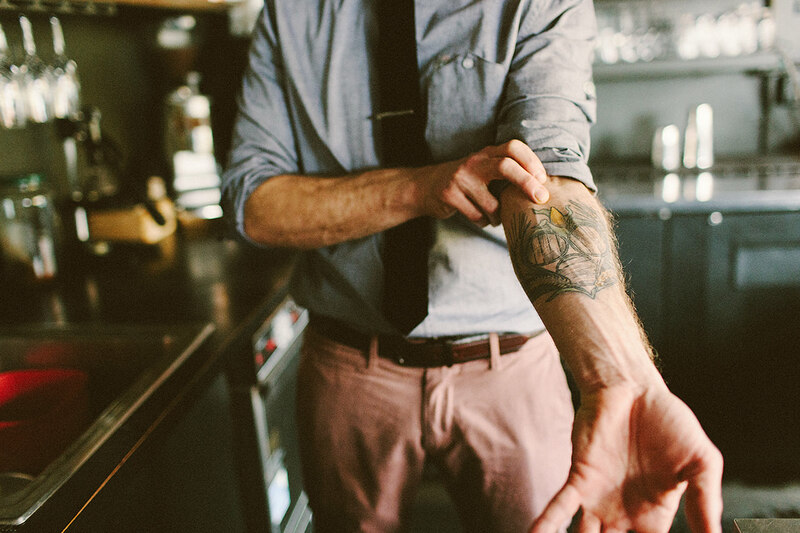 Bourbon tattoo – Barley, corn, and rye. *Whenever using citrus, as well as any time serving a drink up (in a martini or coupe glass), Ryan recommends double-straining. This means pouring out the liquid in your shaker through both the filtered lid, as well as through a hand strainer.